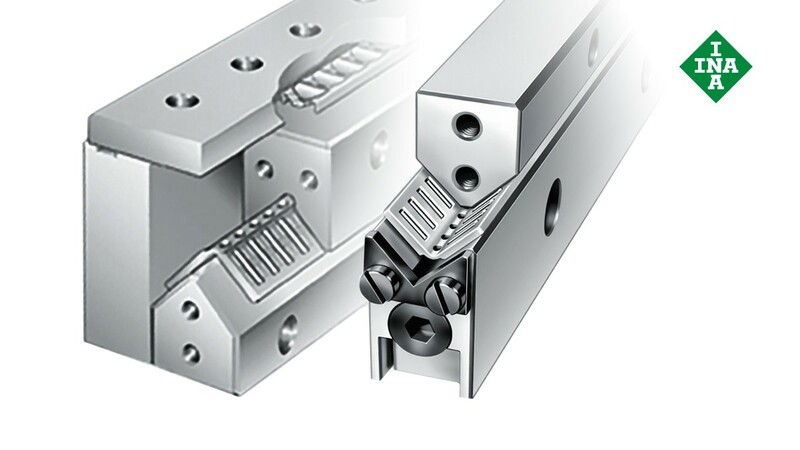 The base version comprises guideway pair ML/V with adjusting gib and angled needle roller flat cages. These guides are preloaded by the gib, whereby the gib applies the preloading force evenly across the entire length of the guideway. The slope of the gib surface is 1.5 %. When the gib is moved by 1 mm, the height changes by 15 µm. The guideways are available in quality classes Q6 and Q10. The cages used are double-row angled needle roller flat cages in metal or plastic.